Hugh Jackman & Deborrah Lee Furness Step Out for Hosting Duties at Global Citizen Festival 2018! Hugh Jackman and wife Deborra Lee Furness hit the stage at the 2018 Global Citizen Festival on Saturday afternoon (September 29) at the Great Lawn in Central Park in New York City. The 49-year-old actor and his 62-year-old wife both wore branded shirts for the event – which they are hosting. 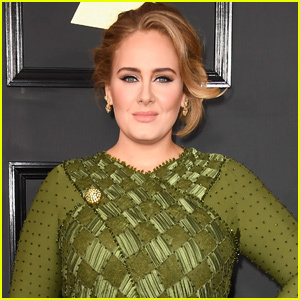 The Global Citizen Festival – which is in its seventh year – is continuing its mission to end extreme poverty around the globe, by 2030. Other stars that stepped out to speak to the crowds included Rami Malek, Mark Ruffalo, Rachel Brosnahan, Kal Penn, Robert De Niro, Forest Whitaker, and New York Governor Andrew Cuomo. Kiefer Sutherland stopped by The Late Show with Stephen Colbert on Tuesday (February 27) and dished about playing a unqualified president on ABC’s Designated Survivor. 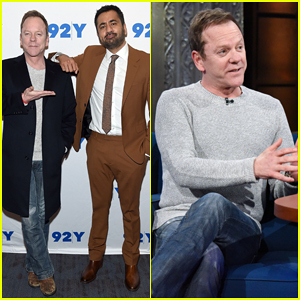 That same evening, Kiefer joined his co-star Kal Penn at their 92nd Street Y Presents: Designated Survivor – Talk And Preview Screening held at the Kaufman Concert Hall. 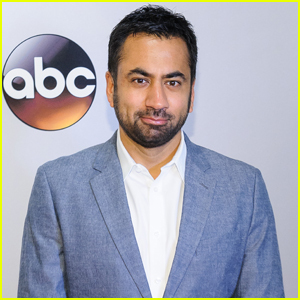 Kal Penn has raised an incredible amount of money for refugees in response to Donald Trump‘s controversial Muslim ban…and it all stemmed from a racist tweet! The 39-year-old Designated Survivor actor received a comment from a social media user who told him he didn’t belong in the US. In response, Kal decided to start a fundraising page for Syrian refugees, all in the name of the man who wrote the comment! So far, the campaign has raised over $360,000, which will go to the International Rescue Committee. “I’m speechless…How’s that for showing the world who we are?” Kal wrote on his Twitter. To donate to Kal‘s refugee fun, head to Crowdrise.com. Kiefer Sutherland looks sharp as he arrives on the red carpet at the 2016 ABC Upfront Presentation on Tuesday (May 17) in New York City. Kiefer was joined by his co-stars Maggie Q and Kal Penn at the presentation.